Beautiful handmade Sterling silver linking circles necklace. 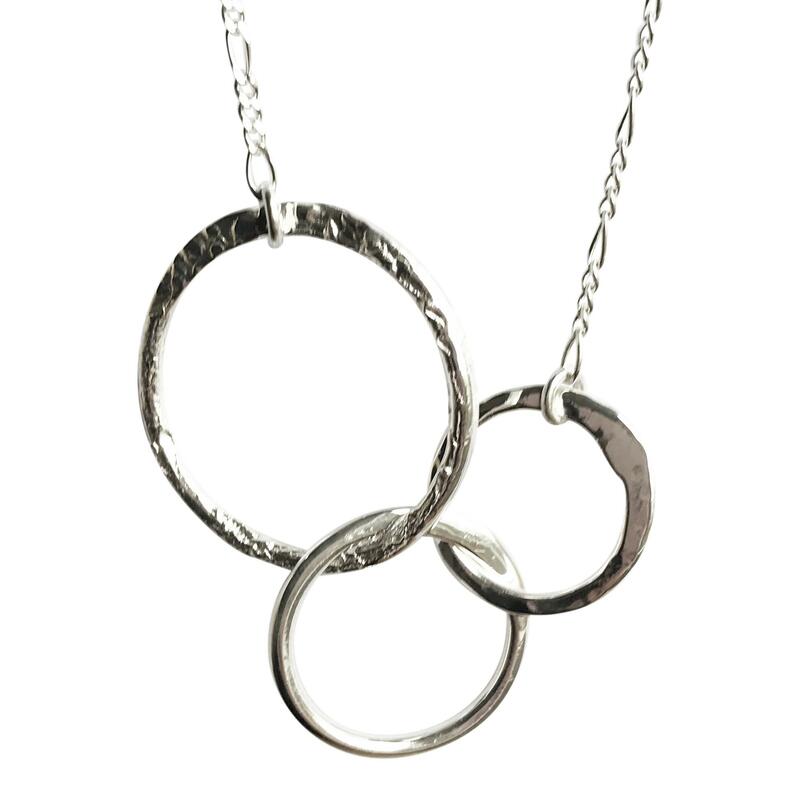 This piece features three interlinking hammered, polished and textured silver circles. Designed in Scotland, handmade in Mexico. Pair with the Summer Hook Earrings for the perfect set.